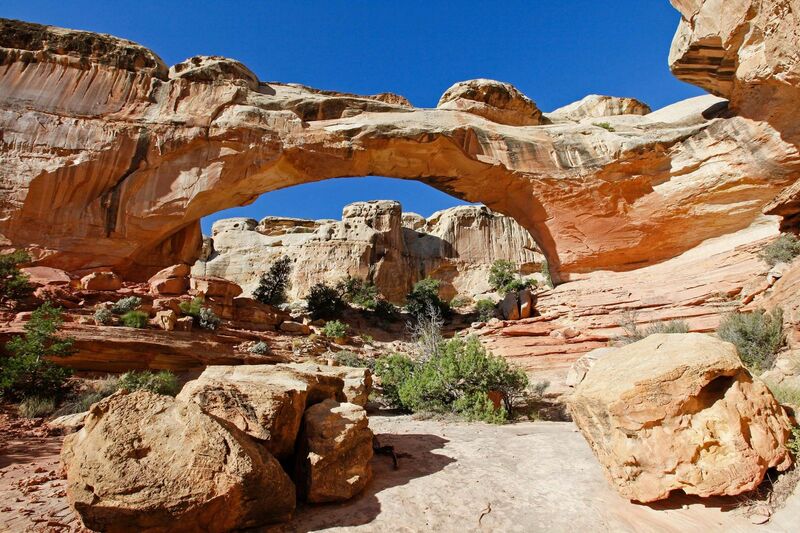 Hickman Bridge, Capitol Reef is one of the highlights of the park. It is a large, elegant natural arch in a scenic side canyon far above the Fremont River. It’s surrounded by the great white domes of Navajo sandstone that characterise the park.